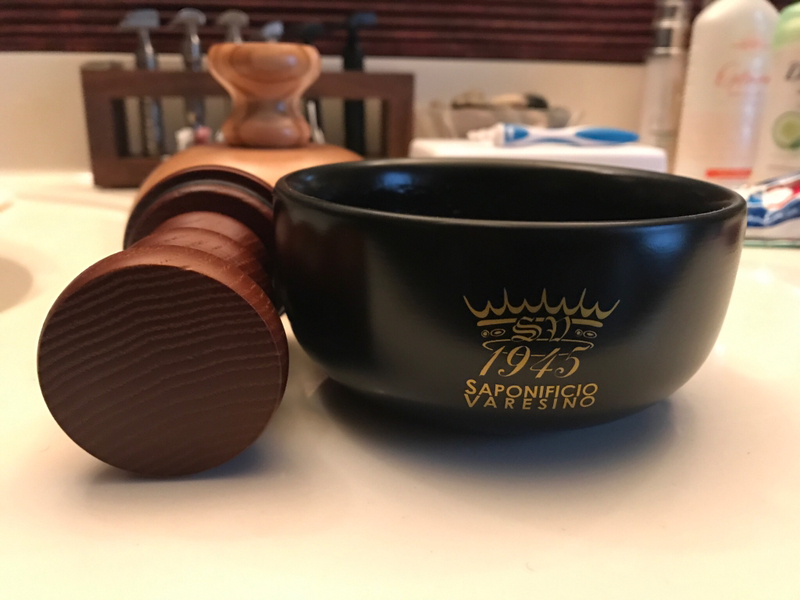 Just received 2 new shaving bowls in the mail!! Are those to keep the puck in or just lather bowls ? The olive wood bowl has a permanent handle attached. The black bowl has a removable handle that allows you to break the bowl down. Love both of these!! Sorry guys, here's a pic of the inside of the black bowl with handle installed. 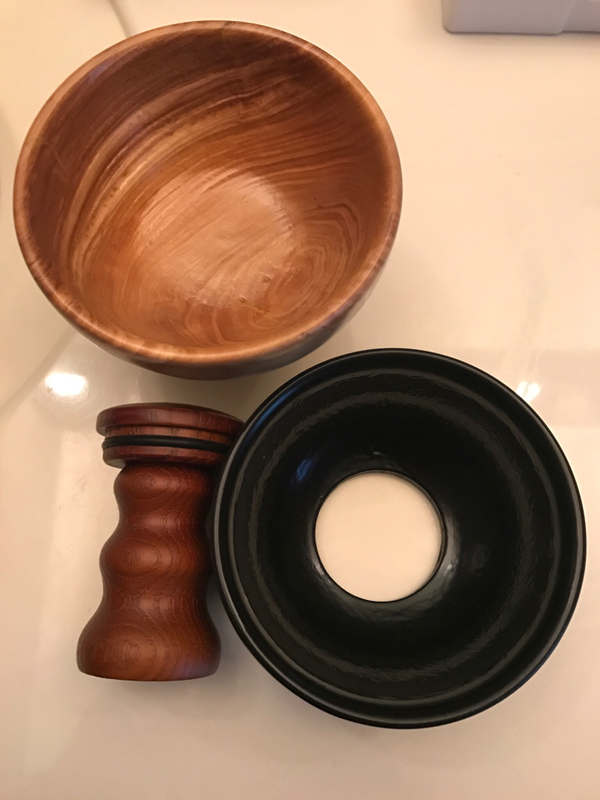 These are both lather bowls. 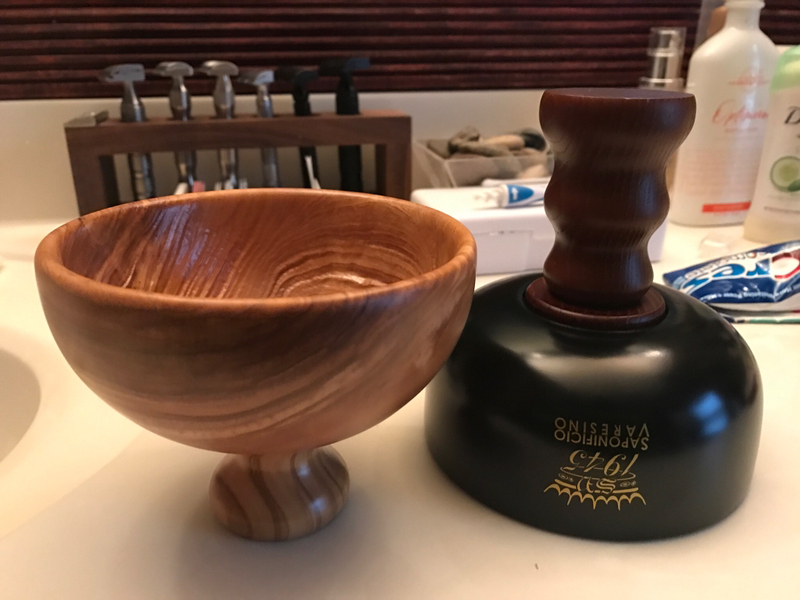 Used the olive wood bowl yesterday and it is absolutely amazing. 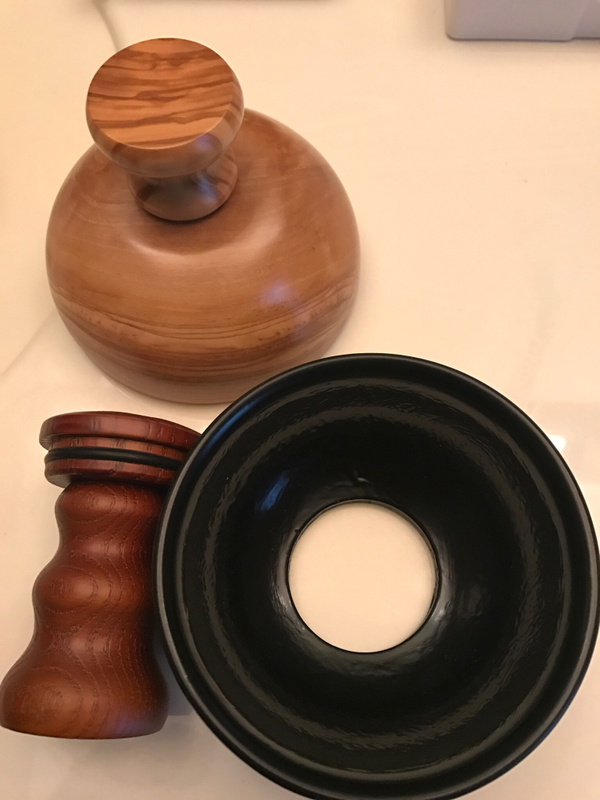 The craftsmanship is second to none and the handle, weight and ridges on the inside of the bowl allow you to create the perfect lather depending on the soap used. 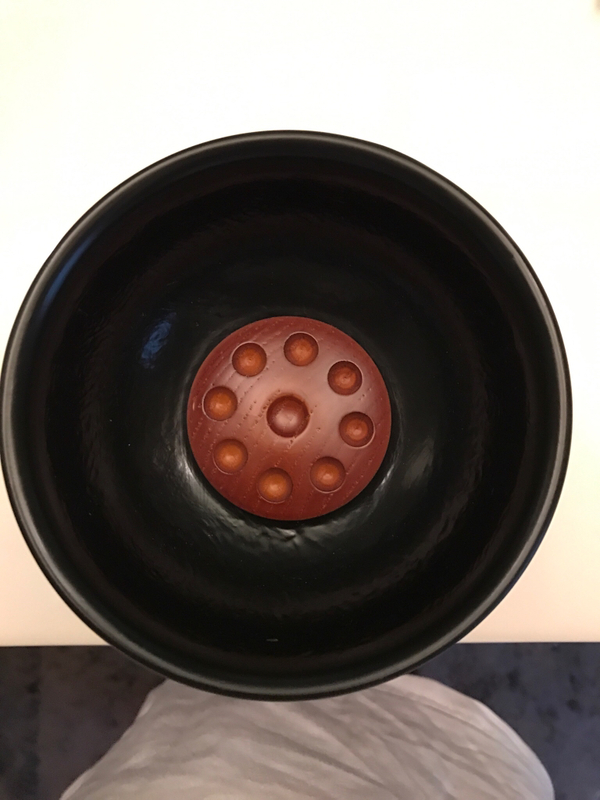 I was extremely impressed with the quality and feel of this bowl!! Love it!! Next up, the black 2 piece bowl. The wood grain on your olivewood bowl is very nice. Just beautiful! I saw those on the web and was very impressed - even better through your photos! The olivewood bowl is definitely my favorite and is the best bowl I have ever used! 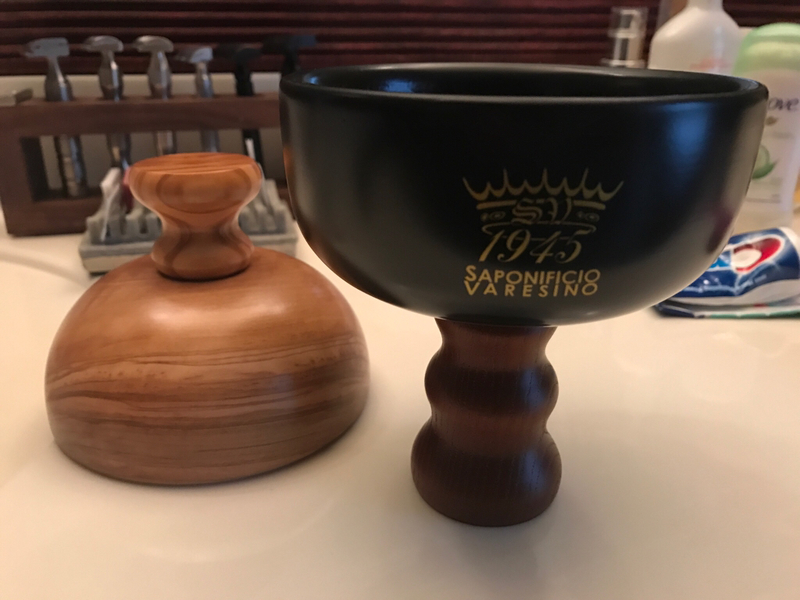 I like the other one but the olivewood bowl is just superior for lathering in every way!! Well worth the purchase!! I love mine !!! Lather machine ! 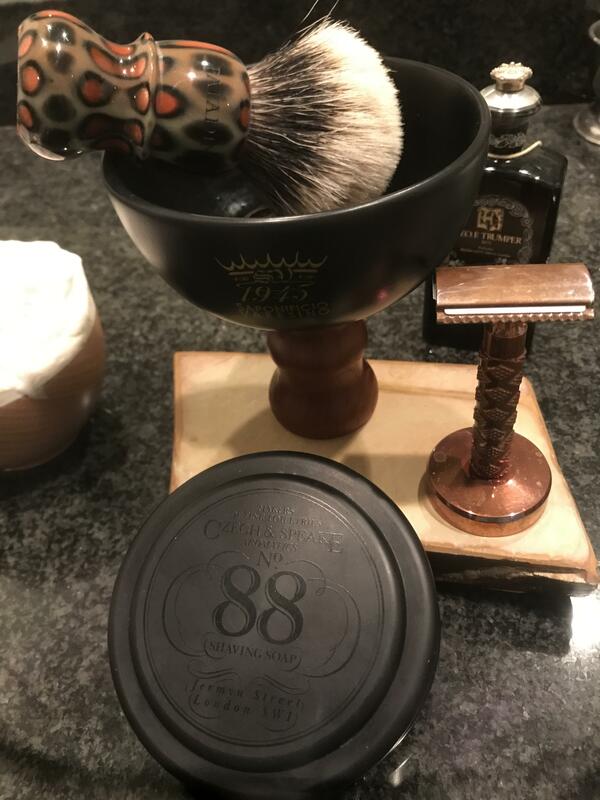 gmhjr06Just received 2 new shaving bowls in the mail!! I have really grown to love both of these bowls. In the beginning I would use the olive wood bowl all the time but now I go back and forth between them. I don’t need any other bowls. These are the best bowls made! Period! Sir, Which bowl do you believe produces the easiest and best lather? So, it's not only wonderful soaps they make!